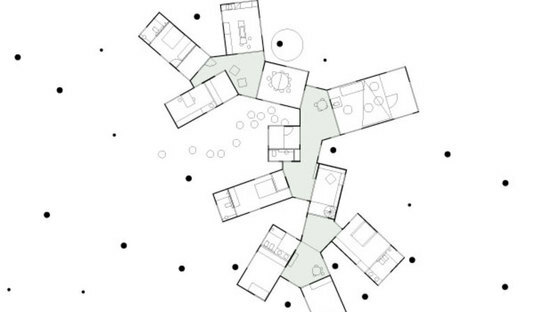 By interpreting the design of a house like that of a city area or urban community, the FRPO Rodriguez & Oriol studio has deconstructed residential architecture into a series of functions, combining them according to paths and focusing on what links the separate parts. 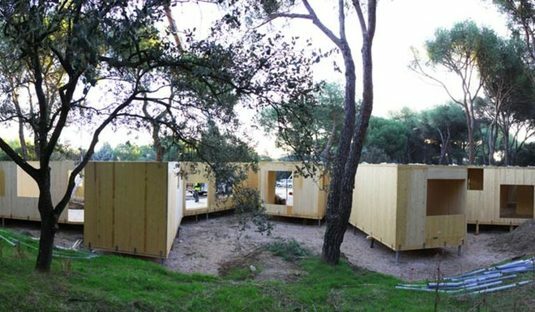 Their choice of building materials was vital: crossed plywood panels that reflect the environmental sustainability of the work. 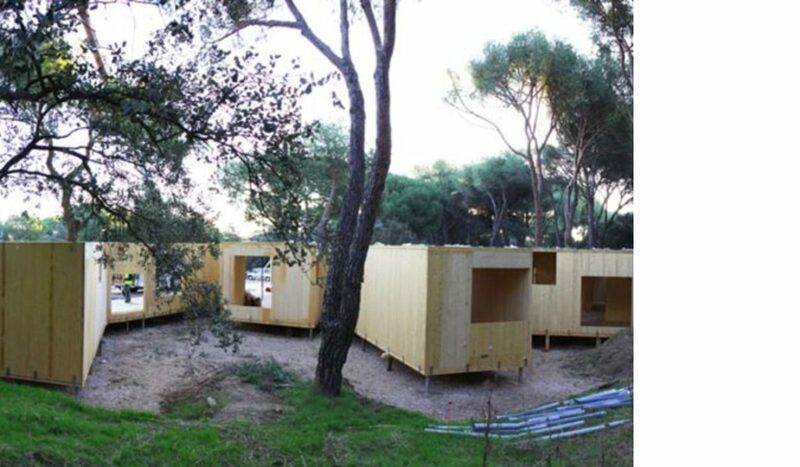 The MO residential housing, built in Madrid by architects FRPO Rodriguez & Oriol, is the result of the research they have carried out since 2005 onthe theme of complexity in architecture and on the advantages of deconstructing main functions into simple elements. 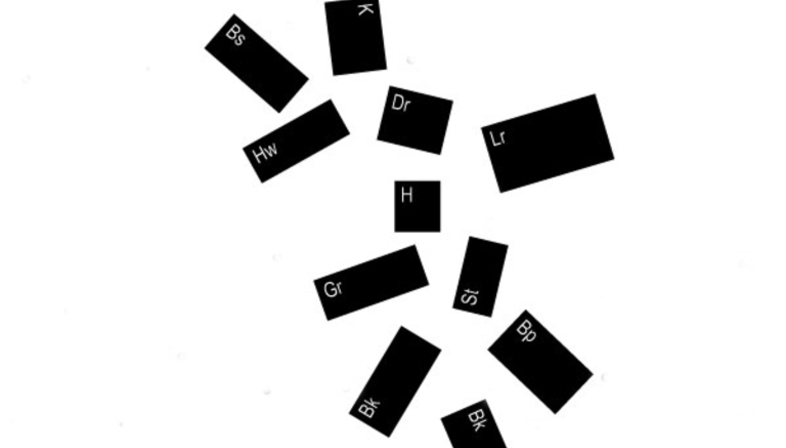 This study, which has been the focus of their work in residential housing and hospitality in recent years, aims to clarify and organise, schematise, and, as a consequence, to find new meaning in the re-assembly of basic elements, in order to enrich the experience of using them. The need for sustainability led to the choice of a material like crossed plywood that reduces heat loss created by structural discontinuity. By overcoming the vision of a home as a compact volume, divided into functions according to the available surface, the designers started by defining fundamental environments to then create a relationship between them and develop the design as a proxemic system. 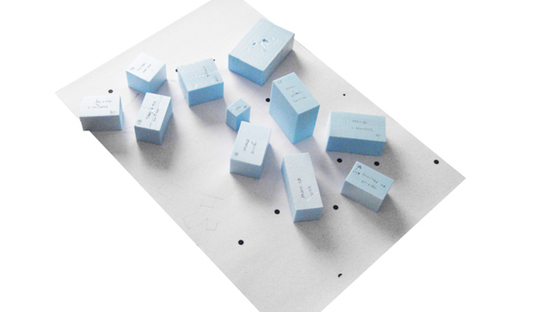 Together with these conceptual elements, there is also the specific nature of the location. 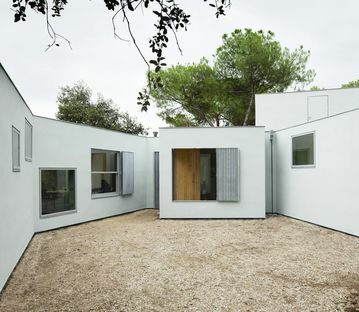 The MO single-family home is situated on woodland on the outskirts of Madrid, where the presence of trees that needed to be conserved would have conditioned the layout of the building. The simplification created by deconstructing its functions allowed the design project to take the environment into account, enriching the experience of its use. 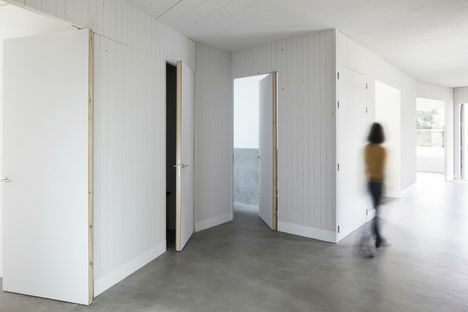 The deconstructed layout of the rooms was the best choice, focusing attention on connecting spaces and passages, which are normally only created after having first establishing the main spaces. 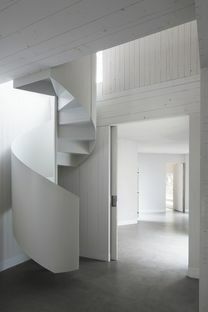 This allowed new spaces to be defined, both in terms of the interior of the home (like the space that connects the study with the parents? and children?s bedrooms) and in terms of the exterior design, like the large garden outside the kitchen, the dining room, and the lounge. The key to the design is the concept of relation, which is exploited 100% and not just on some fronts, as often happens in defining the layout of a single volume home. Research has led to the creation of covered and open “squares” just like in European town centres, allowing relationships to develop and enriching the sense of living together. 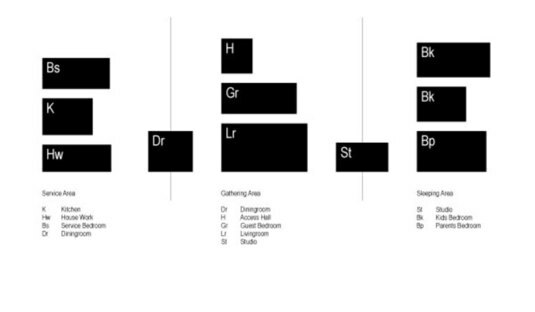 The deconstructed layout created problems of heat loss, with a high ratio between the facades and volumes and a series of constructive discontinuities. Then there were the features of the terrain, where the wood meant that it was impossible to create deep, aggressive foundations. 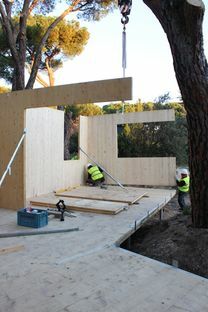 Attention to sustainability led to the choice of crossed plywood that is extremely light, for the micropiles of the foundation in galvanised steel, which were just 2 metres deep. The wood?s high level of insulation combated heat loss and helped reduce energy consumption in the home.